Presidential candidate Barack Obama's main political message represents the absorption of the mediation movement's essential themes at the highest level of national and global politics. This is an accomplishment that should not go unnoticed and one that all mediators, whatever our political leanings, should take great pride in. Obama's candidacy is mediative consciousness' coming out party. Could it be that our work is finally paying off, not only in terms of "miracles in the mediation room," but also in terms of truly improving the way we as humans operate on planet earth? I think so. We are experiencing a popular paradigm shift right before our eyes and mediators and mediative thought are largely responsible. If we trace mediation's "political history," and acknowledging that there are many roots to the modern mediation movement, including good old common sense, the growth of mediation surely followed the divisiveness of the Viet Nam War. One example was the establishment of Neighborhood Justice Centers in the late 60’s, which have since morphed into over 1000 nationwide community mediation programs. Family, workplace, civil and environmental mediation blossomed during the 70s and 80s. Especially under the (Bill) Clinton administration, ADR and mediation were institutionalized beyond many of our wildest dreams. Virtually all federal agencies now have mediation programs, often a number of them. Programs like ADA, EEOC, Postal REDRESS, and IDEA are just a few among many creative and evolving programs. The military itself has many of the most sophisticated mediation programs. Former Attorney General Janet Reno surely was a vigorous advocate for mediation and ADR. And one should not forget the leadership role of former Chief Justice Warren Burger. Thirty years ago, Burger invited Professor Sander to present a paper at the Roscoe Pound Conference of 1976, a historic gathering of legal scholars and jurists brought together to discuss ways to address popular dissatisfaction with the American legal system and reform the administration and delivery of justice. Sander’s paper, “The Pound Conference: Perspectives on Justice in the Future,“ profoundly influenced and transformed both ADR and the American legal system. Unfortunately, whether it be based on intentional politics, events beyond one's control, or simple neglect, there has been a pendular swing in the wrong direction with the Bush administration. Initially, there was talk of compassionate conservatism and being a “uniter, not a divider.” Despite the rhetoric, and surely spurred on by 9-11, ours quickly became the “non-negotiable” society, fear-based and seemingly under attack by the world. We became a society of pre-emptive wars, occupation of others, of red and blue states. If only because of other priorities, there has been little political or social growth of mediation over the past 7 years. Because of lack of leadership and funding, a number of state mediation and dispute resolution centers have closed. Without supportive leadership, the growth of the profession during the Bush administration has been flat at best. The pendulum is, however, swinging again, and this time with greater force and clarity than ever before. As vacuous as the last 8 years have been for the growth of mediation, we are now witnessing the birth of popular mediative consciousness in America. We are at a unique moment in history where there is a very good chance that mediation and constructive conflict resolution will be understood, supported and take off to degrees not previously imagined. Does leadership matter? You bet. Words matter! Words are the things that create the space and time for action. “. . . And what they see is that if we don't bring the country together, stop the endless bickering, actually focus on solutions and reduce the special interests that have dominated Washington, then we will not get anything done. And the reason that this campaign has done so well -- (applause) -- the reason that this campaign has done so well is because people understand that it is not just a matter of putting forward policy positions. The purpose of this article is not to endorse a candidate, but to note, as I think is undeniable, that we have at least one candidate that is championing concepts of reaching out, capably negotiating, listening, bridging divides, and leading the world into a more collaborative and capable dialogue. I call mediation, considered over the past 40 years, the “silent revolution.” Despite all of the challenges, and with precious little fanfare, mediation has been institutionalized as the primary means by which we resolve disputes in America and, increasingly, in the world. 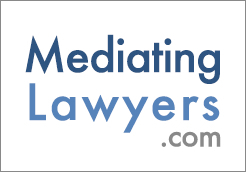 Our courts and due process agencies could not function without mediation. We are now in a historic time, a moment when a leading presidential candidate is running based upon what is, essentially, a meditative message, both explicit and by his demeanor. Should Obama win, it will be because of his perceived calm, his judgment, his ability to bring people together and the perceived preference of his serving the American people as our #1 negotiator and #1 mediator. As much as I am attracted to the progressive policies of the (Hillary) Clinton campaign, and the courage and maverick qualities of McCain, with Clinton and McCain it is, in fact, “business as usual.” The way to success is to overcome the opponent, not work with the opponent. In Obama we have a man with a message and temperament that are new and unique. Obama is basing his campaign on all that is good about participatory democracy. He is basing his campaign on what many mediators have silently worked for over decades. We are witnessing American society and the world becoming wiser in resolving our future challenges. Despite mediators’ tendency to be silent in political matters, perhaps understandably seeking to protect our valued impartiality and neutrality, mediators also have dreams and hopes which, in fact, drove many of us to mediation--our dreams and hopes for a better world more capable of dealing with conflict, even most capable of dealing with conflict. It would be hard as a mediator to not cheer on Obama’s message. And so, as many of us grapple with whether mediators and mediation are also political interests deserving to be most capably expressed in our pluralistic society, we should surely take some credit for this unique moment in history. We have shifted the political dialogue. We are the foundation upon which collaborative future problem-solving is being built. Decades of humble, hard work are paying off in our national and global dialogue. Our society has been and is being educated about better ways. Obama’s post-partisan message is mediation’s political triumph.